Getting a small business off the ground can seem overwhelming and solitary, but being a small business owner is anything but lonely: hundreds of thousands of small businesses open every year, and there are a wealth of resources available to help you succeed. Join fellow entrepreneurs and SCORE mentors for one or all of these upcoming small business classes and workshops at the Downtown Bend Library. 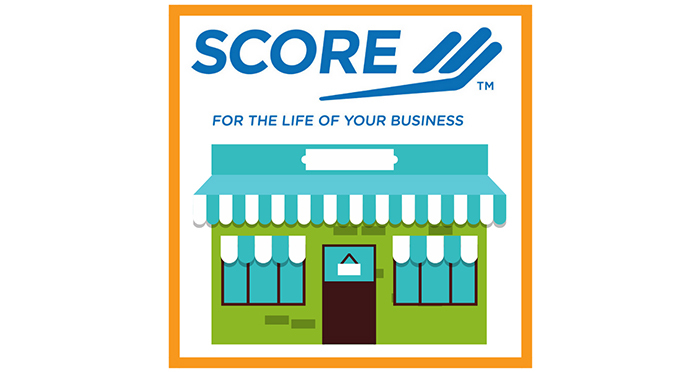 From financing to marketing, these free sessions are led by SCORE mentors who are committed to fostering vibrant small business communities and helping small business owners thrive in their field. If you’re starting a business that requires significant financial investment up front, finding a source of funding can be a challenge. Many start-ups and new small businesses often find they may not qualify for a traditional small business bank loan. But there are options! SBA Loan Programs are an alternative to traditional bank loans. SBA has a variety of loan programs, and each is developed to suit individual business needs such as start-up funds, exporting assistance funds, disaster recovery and more. Learn more about securing SBA loans in this program. Free, but space is limited and registration is required. Register online here. What do you really need for a strong marketing strategy for your small business? In this session we’ll look at the core elements of a successful marketing strategy, taking into consideration the budget and time constraints of running a small business. Effective and simple-to-use low-cost and no-cost online marketing tools will be emphasized—such as websites, email and social media—along with strategies to use them together to amplify each other and save time. Free, but space is limited and registration is required. Register online here. Starting a business comes with a certain amount of risk, but one of the best ways to improve your odds of business success is to understand your budgetary needs and the finance options that are available to help you start, manage and grow your small business. In this two-hour combined lecture and workshop we’ll discuss budgets, expense tracking, profit and loss, cash flow and more. We’ll look at the various tools available for managing small business finances and will explore common pitfalls and how to avoid them. Free, but space is limited and registration is required. Register online here. The Downtown Bend Library also hosts free weekly drop-in consultation sessions with SCORE mentors every Tuesday evening from 5:30 to 7:30pm from September 11 through June 26, 2019. Sign up at the desk on the second floor for a 25-minute session; spots available on a first-come, first-served basis. SCORE is the nation’s largest network of volunteer, expert business mentors, with more than 10,000 volunteers in 300 chapters. As a resource partner of the U.S. Small Business Administration (SBA), SCORE has helped more than 10 million entrepreneurs through mentoring, workshops and educational resources since 1964. The Central Oregon SCORE chapter has 20 volunteers on staff to provide small business entrepreneurs free and confidential business counseling services throughout the region.